Yangon’s newest co-working space is now open in a unique location right next to the Yangon River. For the opening day this Friday, the space will be open to the public for use for free throughout the day. From 5 p.m. there will be a networking session where you can meet the team behind the space as well as like-minded folk. Seedspace Yangon is a chapter of the Yangon Innovation Center, an initiative by the Yangon Regional Government operated by Seedstars Myanmar in collaboration with Thura Swiss and CB Bank. Registration recommended. Nathalie Johnson, founder of Myanm/art Gallery with give a presentation on the history of women artists in Myanmar. The presentation, in English, will be followed by a panel discussion in Burmese. 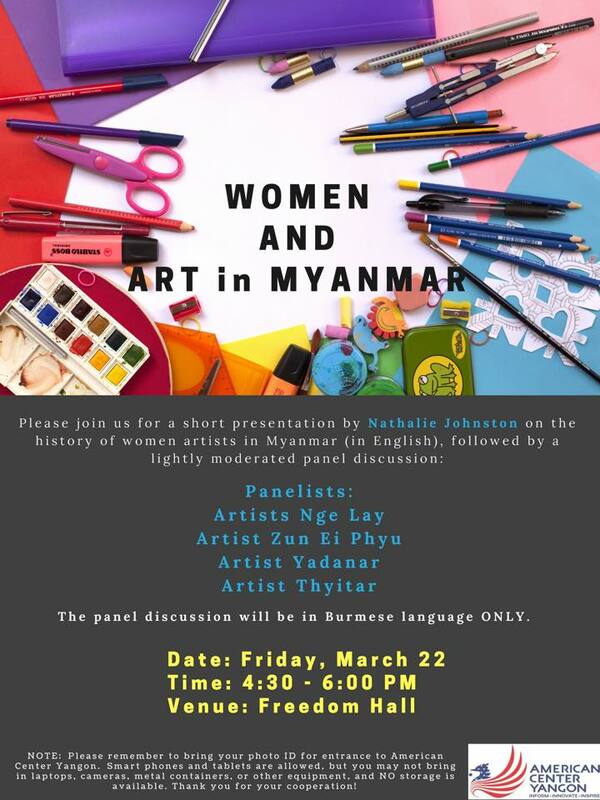 The four prominent female artists who will be on the panel are Yadanar, Nge Lay, Zun Ei Phyu and Thyitar. Note usual security conditions for entering the American Center apply. 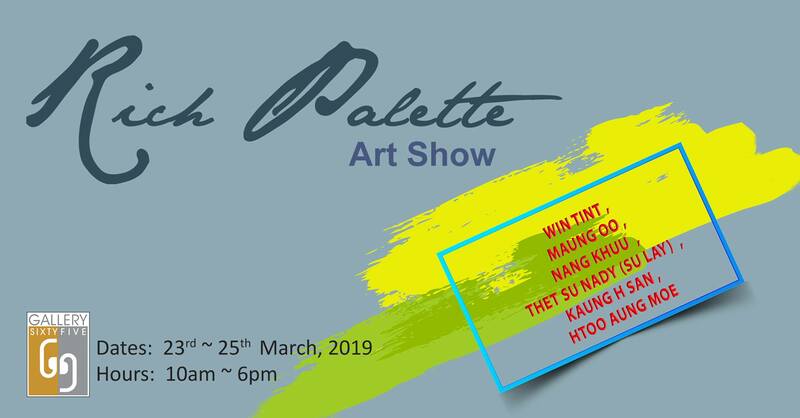 This is a group show by famous local artists Win Tint, Maung Oo, Nang Khuu, Thet Su Nady, Kaung H San and Htoo Aung Moe. This Saturday and Sunday, Kandawgyi Park will be the venue for a food market focusing on healthy, organic food products. On both days the event opens from 7 a.m. to 12 p.m. 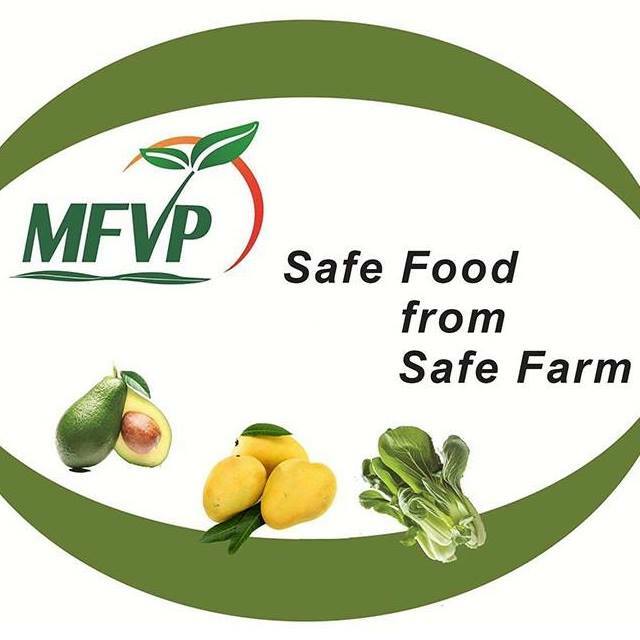 This is where you can find FDA-certified organic vegetables and produce from members of the Myanmar Fruit and Vegetable Producers (MFVP). 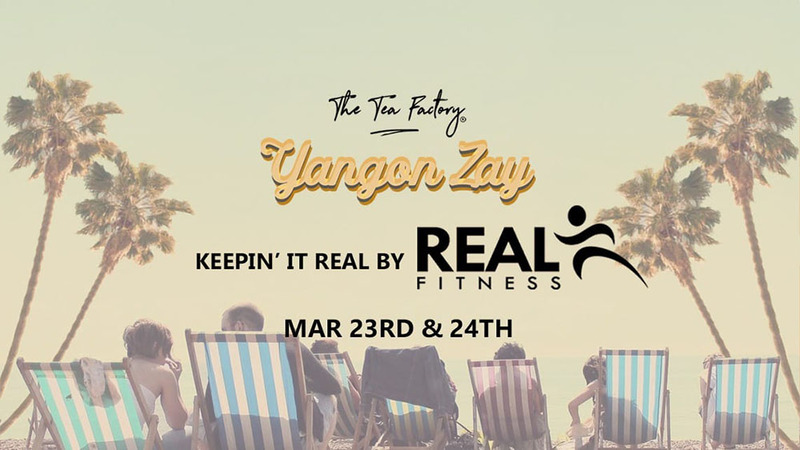 This weekend’s edition of the trendy market Yangon Zay will feature demonstrations and activities organized by Real Fitness, a gym chain with locations across Yangon. Join zumba and combat exercise workouts and later enjoy the food and drinks from the regular pop-up vendors. Tickets 6,000 kyats. 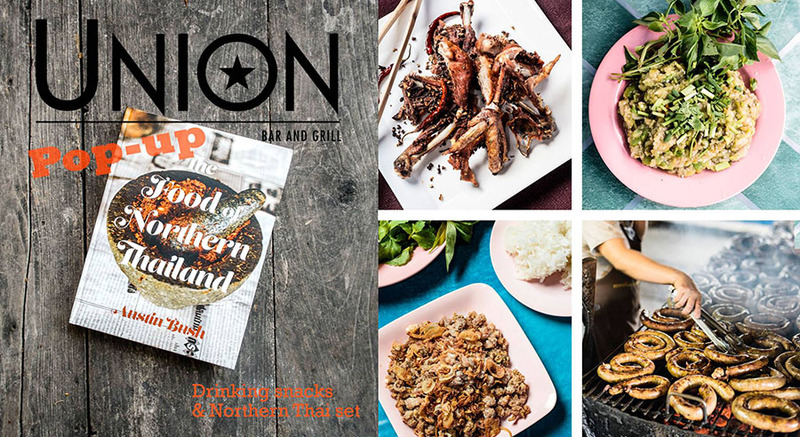 Famous chef and author of a new cookbook dedicated to northern Thai cuisine, Austin Bush, will be at Union Bar & Grill for one night only. This Saturday evening you can order from an additional special menu, or choose a set menu for 35,000 kyats, to experience the unique flavors of northern Thailand, including the herbal, spicy and wholesome dishes of pounded salads, fried snacks and sausages. This walking tour, organized by sustainable tourism hub Jozaso, will show you around the unique neighborhoods of Yangon and share stories of interesting residents from historical times. Come to Myanm/art modern art gallery for a unique poetry reading to round up your weekend. Local poets will be joined by American poet Greg Bem for an evening of readings of various types of poetry. 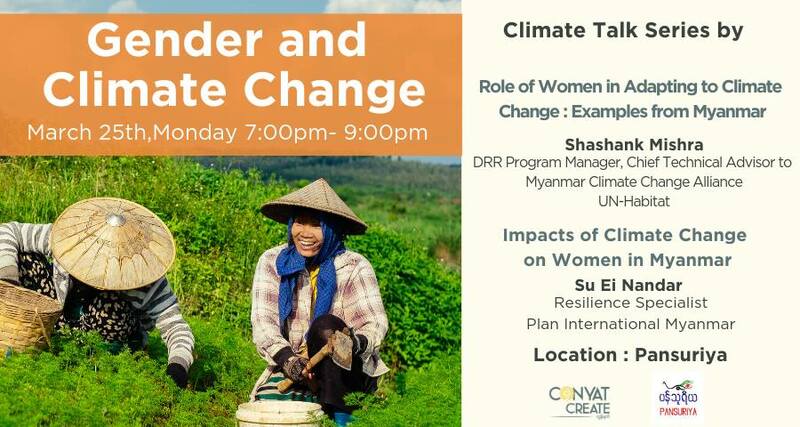 Conyat Create and Pansuriya are partnering to host discussions on the issue of gender and climate change in Myanmar. This is the third part in the series of talks on climate change and the title of the discussion is ‘The Role of Women in Adapting to Climate Change: Examples from Myanmar.’ The speakers are Shashank Mishra of UN Habitat and Su Ei Nandar of Plan International. 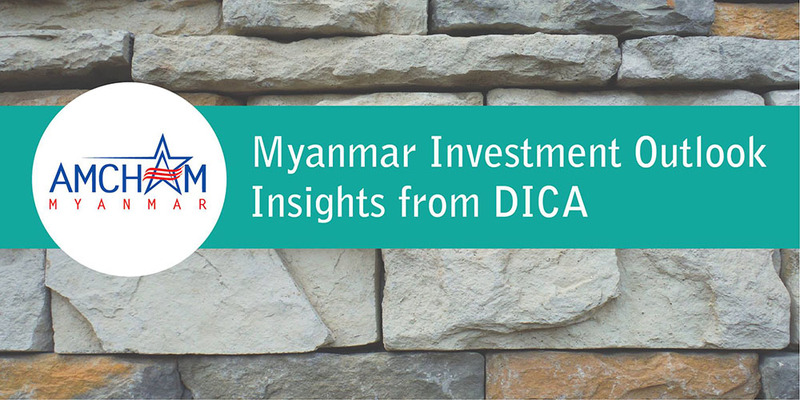 At this event organized by AmCham Myanmar, U Aung Naing Oo, director general of Myanmar’s Directorate of Investment and Company Administration (DICA) will discuss the current investment outlook and DICA’s plans for the year ahead. The talk will be followed by a Q&A session. Tickets $15 for AmCham members and $25 for non-members. Pre-registration recommended. 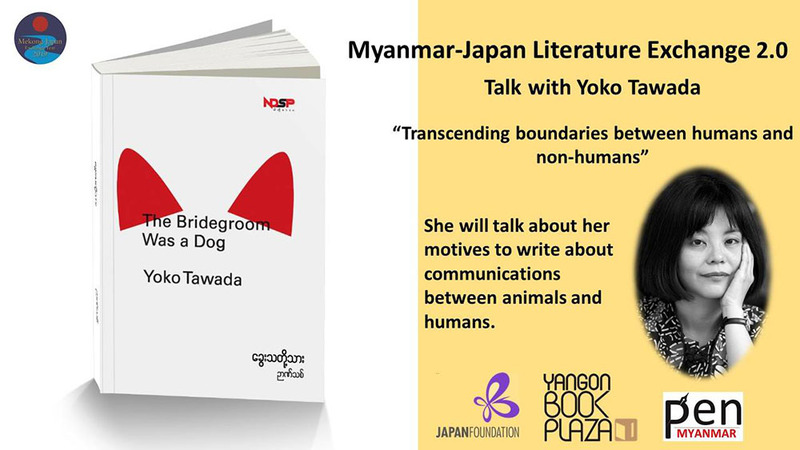 At this event organized by the Japan Foundation, PEN Myanmar and Yangon Book Plaza, renowned Japanese poet and author Yoko Tawada will give a talk on transcending boundaries between humans and non-humans which is a common feature of her writing. 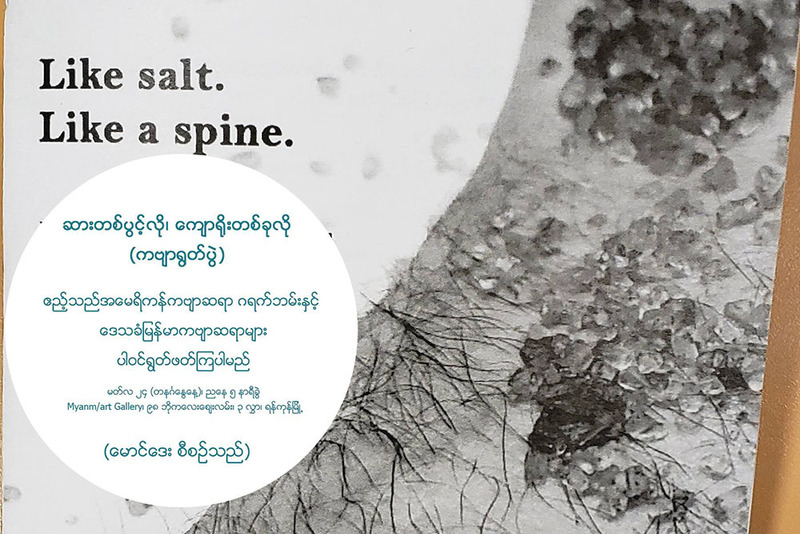 The talk will be in English with Burmese translation.